On the day of Ashura, Imam Hussain called out “Is there any helper to help us?” This call extends to us to the present day, since the larger struggle of Good vs. 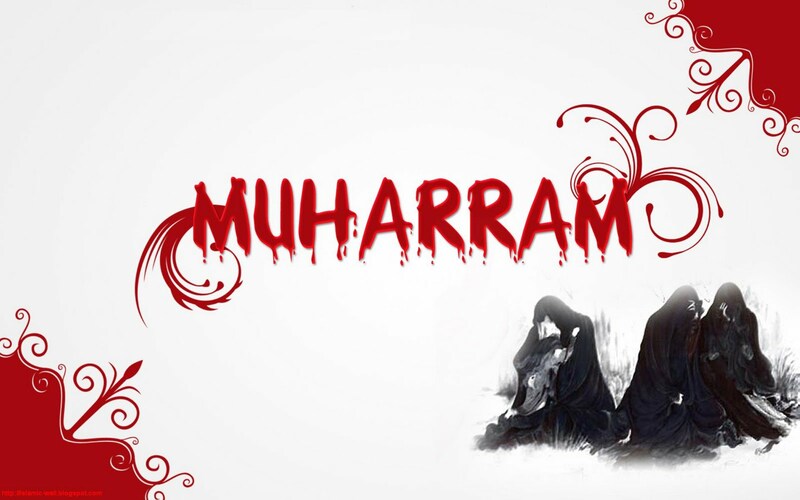 Evil that Imam Husayn fought on the tenth of Muhurram 681 AD is still an on-going struggle to this day. Imam wasn’t looking for helpers to physically fight the battle with him, rather he sought helpers to preserve and carry on his message. The call of Imam is not bound by time and space, so we as believers in this society and century have to question ourselves of how to respond to the Imam’s echoing call and spread his message during our own lifetime? Imam Hussain’s struggle in the battle of Karbala on the day of Ashura to preserve the purity of the Islamic Faith is a shining example of his submission to the Divine Values. It was a show of moral fortitude and perseverance in the face of unimaginable tragedies, and yet against all odds, Imam came out victorious. It’s a lesson for believers till the end of time, that when you stand up to uphold Divine Values and have staked so much in God’s Way, then nothing can defeat you. Many a times, in our lives we are faced with moral dilemmas, where we find ourselves wavering in the face of adversity in upholding the truth. In such times, we should find inspiration in Imam’s example of reliance on God and realize that if we are on the side of truth then God too is on our side and nothing should faze us. Whether this is on an individual level or on a communal or societal level, upholding righteous values is always vindicated in the long run. As a renowned scholar once famously said, “Our responsibility is only to try our best; we are not liable for the results for that is God’s end of the bargain”. What this attitude then leads us to is to “actively mourning” instead of “passively mourning” the tragedies of Karbala. Passively mourning is simply remembering the oppression meted out on the Holy Household as a historical event in history; it has no bearing on our lives besides it being an epic tragic episode that we wail over. The true essence of mourning Karbala however, is in active mourning. In Islamic thought and as outlined by the Quran, faith is never meant to be stagnant; it’s always in forward progression and ascending growth. This is evident to us such that from the day we come into this world, we are in a constant struggle to attain closeness to God. We see this in the example of the Imams (peace be on them) as well, who strove continuously to attain closeness to God, despite their already lofty status and proximity to Him. We could emulate their example, if we understand that a Muslim is one who submits entirely to the tenets of the Islamic religion. A person’s individual Islam (faith) is based on his degree of Tasleem (total submission). Therefore, one doesn’t reserve the privilege of cherry-picking tenets that they prefer and ignoring the rest of the religion as that would not constitute ‘total submission’. The tragedies of Karbala provide us with an example of total submission to God’s Decree in all matters. This is what the Imam says at the martyrdom of his infant son, “I’m pleased with God’s Decision and submit to His Decree”. It is human nature to feel anguished and distraught in such trying conditions, but one should never despair and feel forsaken by God’s Mercy. This spirit of total submission to God’s Decree, should internally spur a revival of faith and resignation to His Wisdom. We learn from Imam’s forbearance in Karbala to not lose faith or heart in times of adversity, but rather see those difficult times as opportunities to getting closer to God through trial and tribulations. This results in our forward progress of faith and our ascension to higher levels of ‘total submission’. In commemorating Karbala we also see that holding on to one’s faith, unwaveringly is of paramount importance. In other words, nothing should be dearer to an individual than his faith and his proximity to God. The value of something can be measured by what sacrifice is given in lieu to attain or preserve it. Thus, the connection between man and deity can be gauged by the fact that it should be preserved even if it requires under-going numerous hardships, including the sacrifice of wealth, health and family. For it is through offering such sacrifices when the time and situation call for it, that one can truly say he/she paid a personal tribute to the oppressed Imam by implementing his example in our own struggles. Ahmed Virani is a community organizer in New York/ New Jersey area and has spent the past 10 years developing and nurturing community programs in the tri-state area.